The 12th edition of the World Cup will be played in England from May 30th to July 14th. A total of 48 matches will be played in this 46-day long tournament and all the best teams in the world will gather for this celebration of cricket. According to Steve Elworthy, the tournament director of the 2019 World Cup, this will be the biggest sporting event to take place in England and Wales this summer, with the high demand for tickets reflecting the excitement of fans from the host country and around the world. However, what has come up a lot in recent conversations and debates is the match to be played between two arch-rivals, Pakistan and India, in light of the escalations between the two countries, and has turned out to be the most anticipated match of the tournament. According to the International Cricket Council (ICC), over 400,000 cricket fans showed an interest in purchasing tickets for this match (the capacity of the stadium is 25,000), which is significantly higher than the interest displayed towards the final. Perhaps the high number of expats, both Indian and Pakistani, living in England also played a role in this. The biggest rivalry in cricket was considered to be between Australia and England, but the sheer size and love for cricket in both India and Pakistan has ensured that public interest in matches between the two giants of the subcontinent is way ahead of the age-old rivalry between the two founding members of the ICC. While India and Pakistan coming face-to-face in any sporting event always generates interest, when it comes to cricket, the level of interest and enthusiasm to watch them play is unmatched. So one can imagine that when tensions between the two countries heightened recently and India blamed Pakistan for the Pulwama attack and Pakistan retaliated, war clouds began to hover over the marquee clash scheduled for June 16th. However, politics should be kept separate from art and sport, unless it is being used to improve relations, as seen in the cricket diplomacy that used to exist between the two states. Unfortunately, India has increasingly conflated the two, even refusing to play a bilateral cricket series with Pakistan. And this time was no different. 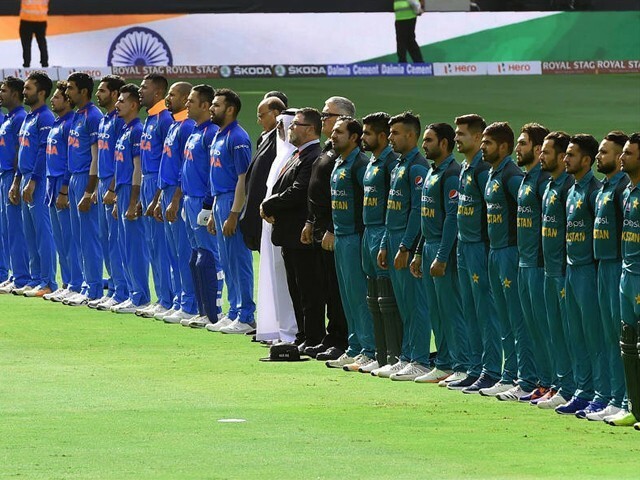 As soon as India blamed Pakistan, its athletes and general public began suggesting that India should boycott the World Cup match against Pakistan and should also try to stop Pakistan from playing the cup altogether. The Indian government also banned the participation of Pakistani athletes in an international tournament by denying them visas. However, this behaviour was not welcomed by the international community and does not meet the standards set by the world, as India would soon find out. Resultantly, the Executive Board of the International Olympic Committee took notice of India’s unsporting behaviour, barred India from hosting future Olympic-related events and urged international sports federations to not host competitions there. The biggest setback came to the Board of Control for Cricket in India (BCCI) as it tried to get Pakistan banned from the World Cup, as the ICC unequivocally stated that it would not ban Pakistan and that severing cricketing ties was not in its domain. Many in India suggested the match should not take place at all, while some sane voices like Sunil Gavaskar suggested that in a closely contested tournament, instead of gifting crucial points to Pakistan, India should hurt its rival by playing and defeating it in on the ground. India’s optimism is based on the flawless record it has against Pakistan in World Cup matches, where they have won all six matches played between the two teams. The World Cup, however, does unfortunately have a history of boycotts. During the 1996 World Cup, Australia did not travel to Sri Lanka to play their group match, while England snubbed Zimbabwe in the 2003 World Cup. Although the aforementioned teams did set the wrong precedent, the case was different as they had to travel to a territory they believed was unsafe. In the case of India and Pakistan, the match is ironically in England, which is a neutral venue and thus leaves no logical reason to boycott this match. 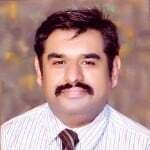 If the match between India and Pakistan is not played during the 2019 World Cup, it will deprive cricket fans of the opportunity to witness a historic match while also causing huge losses to England and the ICC. I fear riots may break out between Indian and Pakistani expats living in and around Manchester if India backtracks on its commitment to play Pakistan. I wonder what the correlation is between the World Cup in England and the growing tension between the two neighbours? 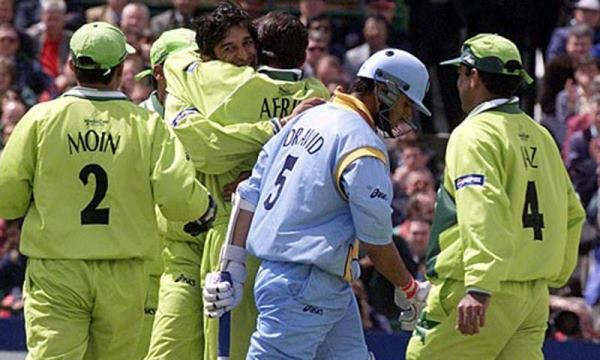 After all, during the 1999 World Cup, Pakistan and India played each other in the Super Sixes stage at a time when armies of both the countries were involved in an active conflict at Kargil. Manchester was the venue then, and the same will function as the venue now. If India boycotts this match, it will give a sour taste to the tournament as the entire focus will shift from cricket to war and politics. The upcoming tournament is played on a single league basis and every possibility exists that India and Pakistan may come to face each other again at the knockout stage, just as they did in the 2017 Champions Trophy. What moral ground will India stand on if it boycotts the league match but ends up playing Pakistan in the semi-final or final of the tournament? Between the tensions between these two neighbours, cricket ends up suffering. As a passionate fan of the sport, I strongly advocate that India learn from its past experiences and keep politics separate from sports to play the match on June 16th. No matter who wins and who loses, the match is undoubtedly going to be the highlight of the biggest tournament of the year.